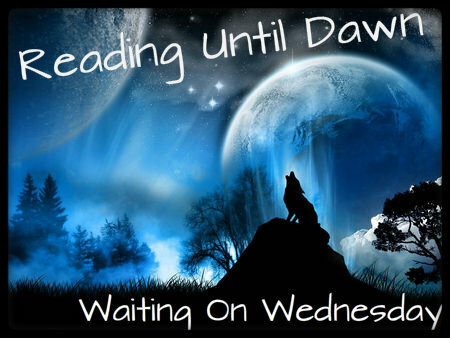 Waiting On Wednesday is a weekly meme, hosted by Jill at Breaking The Spine, that spotlights books that we can't wait to read! This week's WoW is.......Unravel Me by Tahereh Mafi!! I loved the kind of poetic style of writing that Tahereh used in Shatter Me and I can't wait for the sequel to come out! The covers of both novels are also really unique and I've never seen anything like them before! 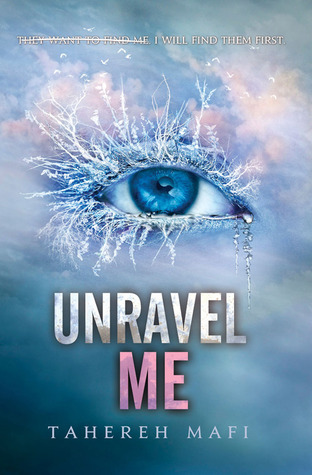 Unravel Me will be released on February 5, 2013! IT IS SO MINDBLOWINGLY GOOD. I hope you get your hands on it soon! Great pick. I really need to read the first book. It's been on my TBR pile forever. Awesome pick! I'm seriously dying for this book!!! YAY!!!! Can't wait to read it. I LOVED Shatter Me, and I've been dying for more since I've finished it. Great pick! Great pick! I still have to read the first one thought. 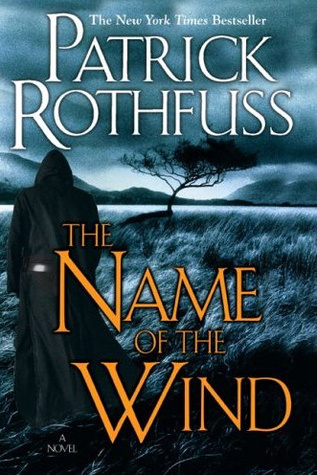 Heard a lot of good things about it and can't wait to start this series. I'm excited to start this series! It sounds so great. 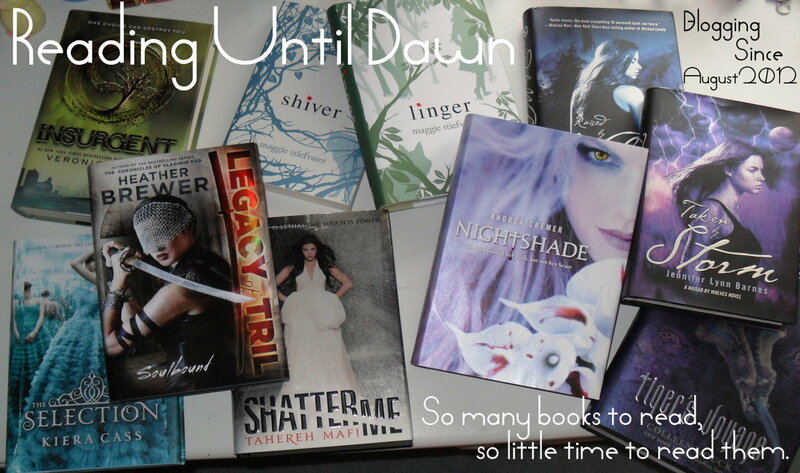 I'm glad I still have a little bit of time to read Shatter Me before Unravel Me comes out! Great choice. Thanks for stopping byMy WoW! I haven't read Shatter Me yet, but I'm digging the cover of this book. 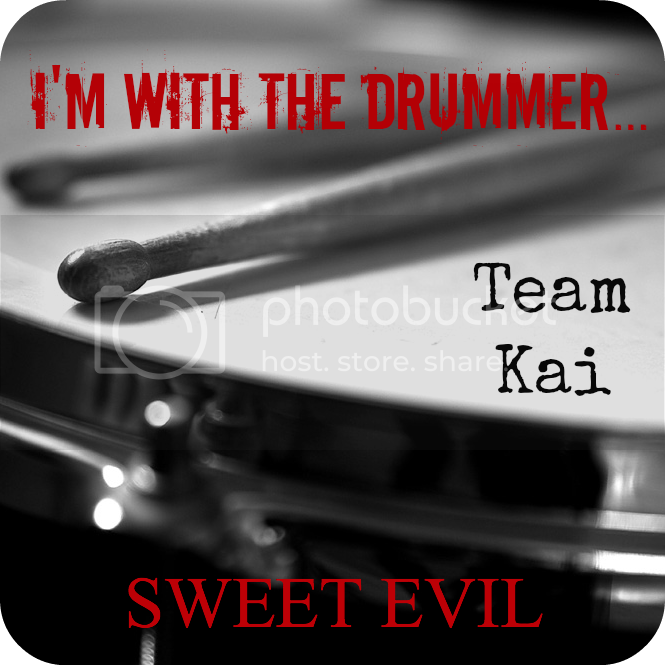 Must add to my TBR! Thanks for suggesting it!